It’s early in the game and lots of teeth are already dead! Keep Brushing! 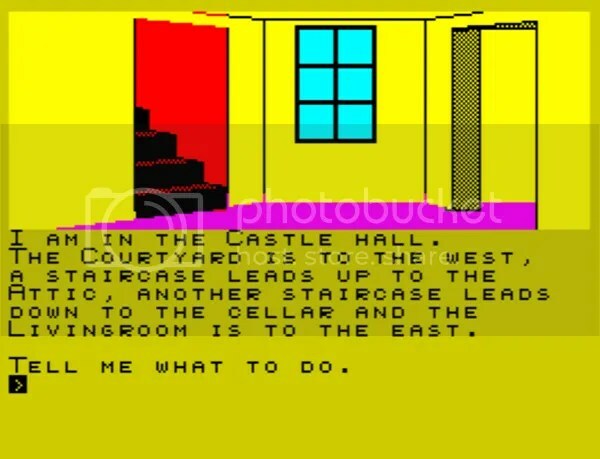 An early Imagine software game and also an early game by John Gibson (who also coded Frankie Goes To Hollywood, The Great Escape and the mythical mega-game: Bandersnatch). At his interview for Imagine Software he was asked if he thought it was possible to write a game in one month. He said yes and got the job to do just that. Molar Maul was the result. This is an unusual game : You control a toothbrush inside a mouth and it’s your job to clean any teeth that get decay on them. You do this by positioning your brush next to the toothpaste tube and waiting for a squirt of toothpaste. Then you move your brush to the dirty tooth and brush it. Easy right? Well it would be if you weren’t in a race against marauding bacteria who are decaying the teeth as fast as you can clean them! Before you can clean the teeth you need to put toothpaste on your brush. If 4 teeth get to the ‘blackened’ state (they first pass through 3 coloured states first : white, light blue, and dark blue) you lose a life. Lose 3 lives and it’s game over. Use up all your toothpase and you move to the next level – where there are more and faster bacteria. You can kill bacteria quickly without brushing the tooth by touching them while they are on a tooth with a toothpaste-laden brush. You can then move onto a tooth that needs brushing more urgently. Yeah! Every now and again a sweet (or candy if you are in the US) appears and the bacteria devour it and go crazy. This makes them much more aggressive and they will now move much faster. At first this doesn’t seem like a particularly special game but once you get the hang of what you’re doing, it becomes quite addictive. The strangeness of it – it’s set inside a mouth! 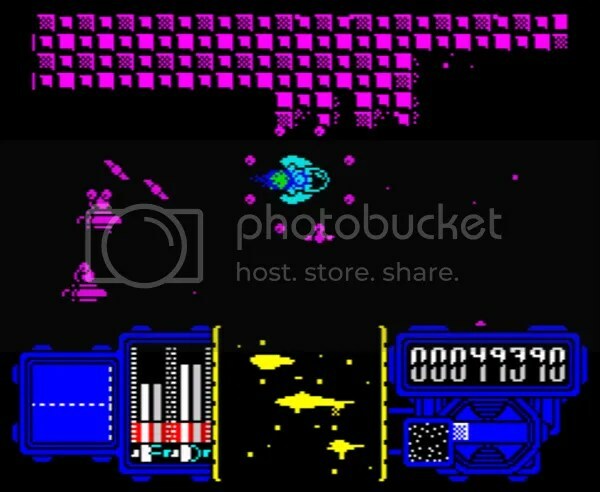 – is very appealing and makes it feel refreshingly different to the usual space-based arcade games of the time. 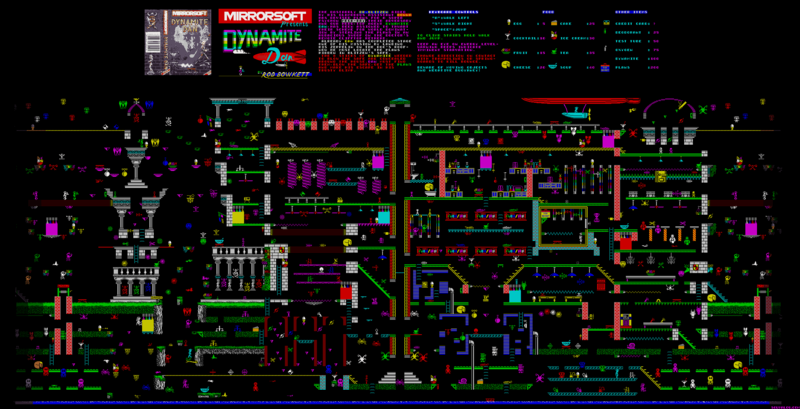 It’s well programmed, fast and responsive, and quite slick for 1983. It’s a nice touch too that the brush actually brushes the teeth. The difficulty is a bit skewed however. The game starts off very easy and then stays that way for far too long. Suddenly around level 11 things start to get very difficult with extremely aggressive and fast-moving bacteria. You won’t survive many more levels at this point. Sadly there are quite a few flaws, which spoil the game a little and might stop you chasing high scores. 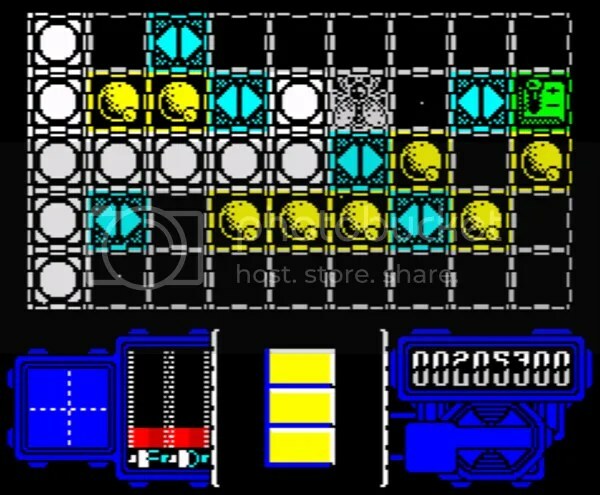 Like a lot of early Spectrum game it uses odd key assignments (top row for up, next row for down etc) which is awkward and there’s no way to redefine the keys. As the game gets harder and speeds-up, your toothbrush also moves faster and soon becomes over-responsive. It’s then far too easy to overshoot your target or the position you need to be in to receive more toothpaste. On the higher levels this is a major problem since even a small loss of time can result in a Game Over. If you use the toothpaste on your brush to stop a bacterium attacking a tooth you can’t then brush the tooth even though you are already in contact with it. You’ll have to move your brush away from the tooth and then back onto it again. This is annoying. Our normal reviewer Rich is currently on holiday. 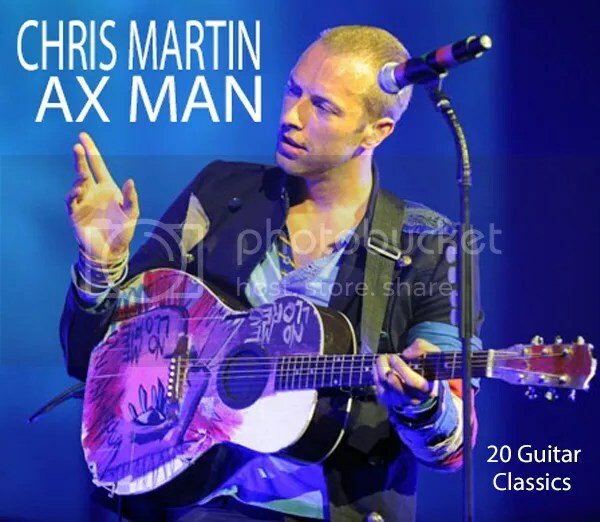 Guest reviewer Chris Martin from the band Coldplay will review this game. 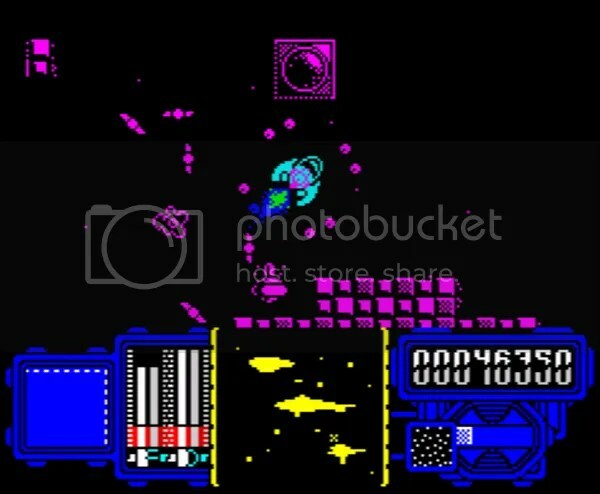 Firefly is a fast, abstract, ultra-slick, multi-directional shoot-em-up that was written by legendary spectrum programmer Joffa Smith. 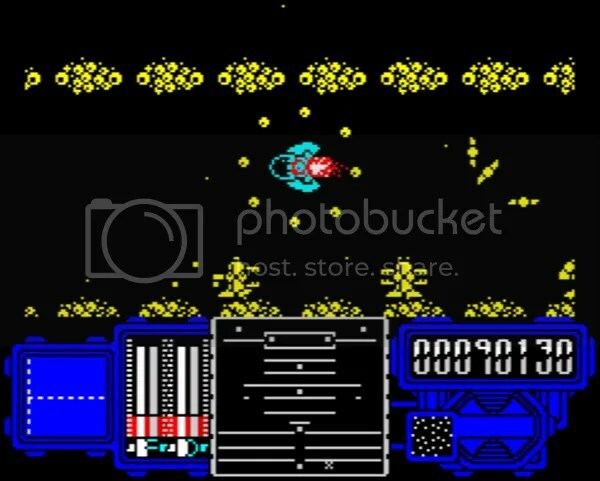 I remember playing Firefly when it was released and it seemed like a kaleidoscope of colour and weirdness all in shoot-em-up form. It was also very confusing but exciting too because it seemed like there was a lot going on in this game. It wasn’t just a shoot-em-up, there was a whole extra element to it. Keep reading and you’ll see what I mean. When you start the game you’ll see the map screen below. To complete the game you need to reach the green switch on the far right side of the map. Each space on the map represents an alien world. However you can only move your Firefy past a space once it has been cleared of all alien invaders. When a world has been cleared it will then be replaced by a white circle. How do I rid the worlds of the alien menace? Upon entering a world, you’ll find yourself piloting your state-of-the-art Firefly craft which you move through an 8-directional scrolling world. You’ll notice a map screen at the bottom of your display which shows the layout of the world you are in. To clear a sector you have to take out the 4 power generators on each level. These are denoted by rapidly flashing dots on the map. Sometimes the generators will be in hard to reach areas and you’ll need to find a transporter (also marked on the map by a slower flashing dot) to take you there. Your craft is circled by your complete bullet supply, and they move in hyponotic and beautiful patterns. The bullets aren’t active when circling your craft so unfortunately don’t act as a shield. As you fire them you’ll notice they return to you after use – much like boomerangs. The square object with the circle in is a power-generator and that blobby shaped object is a power core. Whenever you hack into a power generator or want to use a transporter you’ll find yourself playing a reaction-based subgame. 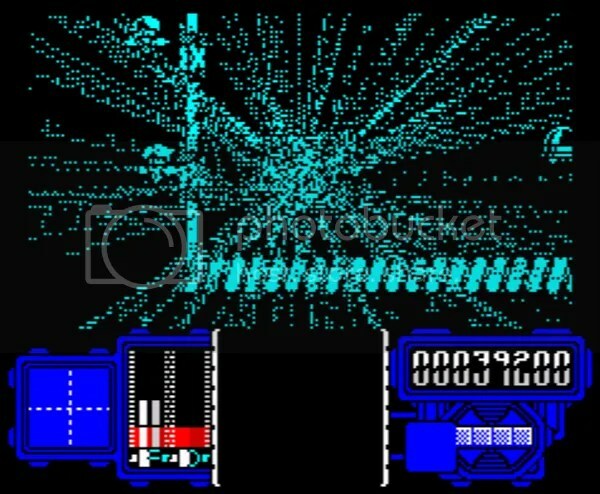 The first game here is the power-generator subgame, the 2nd is the one you’ll play when you enter a transporter. With the power generator game – you’ll need stop the a rapidly moving cursor on the Thumbs-Up Icon. Fail to do so and you’ll be thrown out with a hefty energy loss. By the 3rd and fourth generator on each level the cursor moves far too fast to react to and you’ll need to aim a step or 2 steps ahead. The transporter subgame is much harder. You have stop a spinning cursor on the blue squares and avoid the red. One wrong move – it’s very easy to hit a red square by mistake because of the speed the cursor moves! – and you’ll again be thrown out with a heavy energy loss. 99% of the times I died in the game was from failing a subgame. Their difficulty does spoil the game slightly. My Firefly craft collects an energy fish, and soon drops of nourishing energy are falling from the ceiling! The best item in the game and very much needed. Like the autofire pickup you’ll release it by destroying a particular type of enemy. Once collected, for a limited amount of time, all aliens will disappear and energy-replenishing drops will fall from the scenery. Collect as many as you can, or alternatively take advantage of the complete lack of enemies to hack into that final power generator and save the day! – the limited view area means collisions with enemies are often almost unavoidable. – the subgames are far too punishing – 1 or 2 mistakes and it could be game over. I failed a subgame here rather than got shot. But the end result is the same – death. However 3rd Impressions (hmmm I really want to write a song called “Third Impressions Count” or even “Impressions of the Third Kind”. I’m feeling quite creative!) are much better because you’ll find ways to mitigate the difficulty of the subgames. You’ll learn on the 3rd rotation of the transporter game to aim 3 squares ahead of the square you want. Similarly on the thumbs-up/thumbs-down game, when it gets ultra-fast you’ll know to aim for the thumps-up just because the cursor will take 2 further steps and be back there by the time your fingers react. The subgames will still be hard but now that you have a chance, the game gets very addictive. Don’t play with emulator saves because it ruins it. It also takes some time to learn how to fly the craft with a good degree of skill and when this happens a lot of the viewport problems disappear, and the fun level increases. So How Good Are You Chris? Well…I’m not bad. 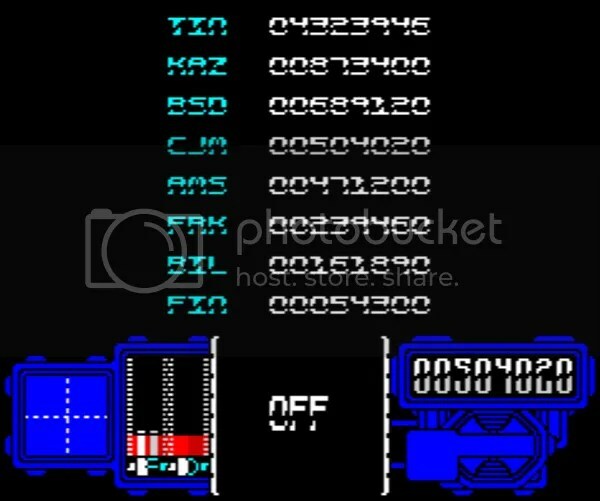 I have cleared 5 worlds and got a score of 504020 without using emulator saves! 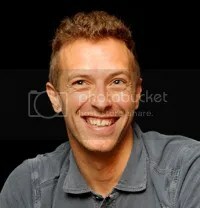 but I’m Chris Martin from Coldplay! Who are you? Just joking! I want to make it clear that I think all of us here on planet Earth are equal. My first solo project! I showcase my guitar skills on this album in which I play 20 guitar classics including Voodoo Chile Slight Return (in an upbeat happy style), Smoke on the Water (special melancholic version) and Van Halen’s Eruption (played with a hint of sadness). Was you being able to plug your new album part of why you agreed to write this review? These spiders must be led into webs to get diamonds. 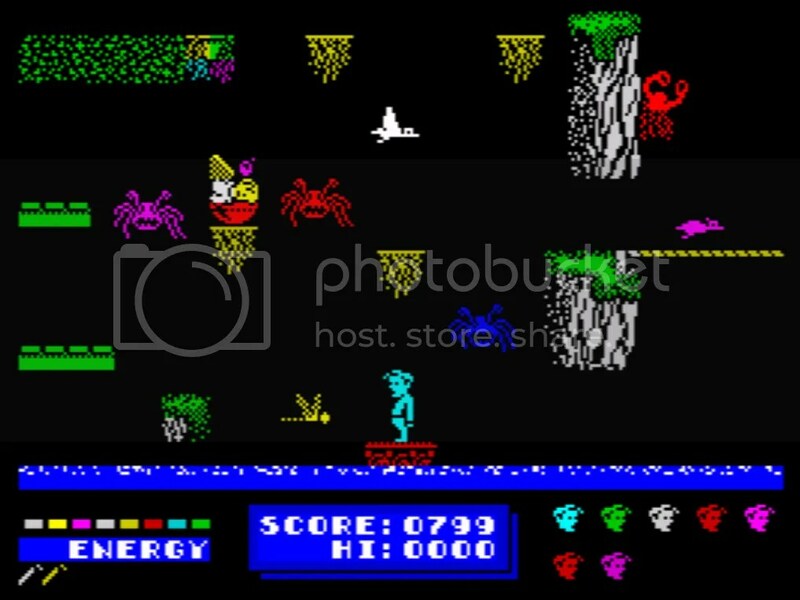 This is a mix-up of Boulderdash (the basic concept and small graphics) and Repton on the BBC (the extra features like spirits/spiders and cages/webs and the more thoughtful and stategic gameplay). It’s pretty good too, especially considering it was given away as a free game on a 1988 Crash Magazine Tape. There’s nothing spectacular here in terms of graphics, they are very basic. The main character DJ Nicko has some charm in the way he flops rather than runs around the levels. As I mentioned earlier he looks a bit like a baby Kermit or even Crazy Frog (perhaps betraying his Euro-dance origins!). This makes him rather charming. Considering this is the Spectrum it’s also nice that the display scrolls. It’s not the smoothest scrolling ever but still, it’s nice to have. DJ Nicko must collect the diamonds without crushing himself. Fairly basic sound effects but there’s an upbeat tune that plays the whole time. I can’t quite figure out what it is but it’s similar to The Entertainer (which was used in Repton) It’s a little bit slow and plinky and it can interfere with your concentration a bit – especially when you have to plan your route through a particularly complex arrangement of boulders and diamonds. It’s the standard Boulderdash gameplay- Collect all the diamonds on the level within the time limit, but avoid being crushed by boulders or touched by enemies. You learn the rules pretty fast: Boulders will fall if 1. Unsupported 2. On top of a diamond/boulder/slope that has no objects directly to one side. You often have to make boulders fall to clear your way to the diamonds.You must also be careful not to trap or crush yourself. As the game’s complexity ramps up, you’ll really need to think 3 or 4 moves ahead. There’s a time limit so think fast! 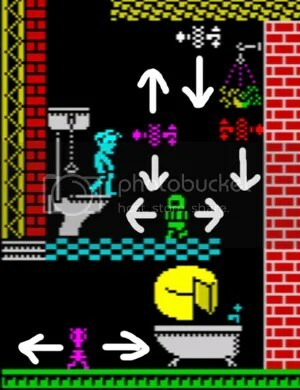 Level Design is both clever and sensible – basic techniques are introduced early in the game by giving player simple puzzles to solve that require their use. This means you’ll always have a good idea of what to do when the puzzles get more complicated and taxing. There is also a nice addition to the game in the form of an editor that allows you to make your own levels and save them. Collecting a key turns all safes into diamonds. But be careful – unsupported boulders on top of the safes will fall! Omelettes hatch from eggs which will home in on your position. This may seem a bit weird but in Repton monsters hatch from eggs, so the author has had to change things a bit. You need to crush the omelettes with a boulder because doing so will give you a diamond, and you always need to collect every diamond possible before you can move on to the next level. 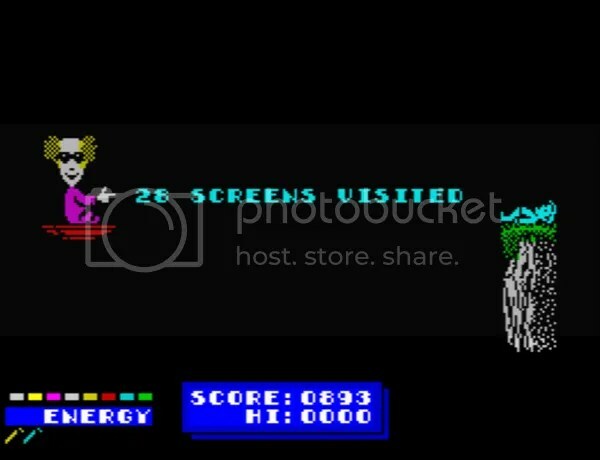 In the above sequence of screens, DJ Nicko lures a homing omelette into a boulder-trap and then brutally murders him. All for a diamond! Having played a lot of Repton in my youth I assumed these were transporters but they are actually restart points. They are often handily positioned so that you will walk-through one after solving a particularly tricky puzzle. While this is an addictive game but I wouldn’t always describe it as fun. You get satisfaction from solving puzzles and it’s addictive trying to get further in the game. The controls are responsive although you don’t really have that much chance out-manoeuvering a homing enemy when it gets close. The graphics – they are very simple and functional. Apart from the way DJ Nicko moves, there’s no real charm or artistry to them at all. 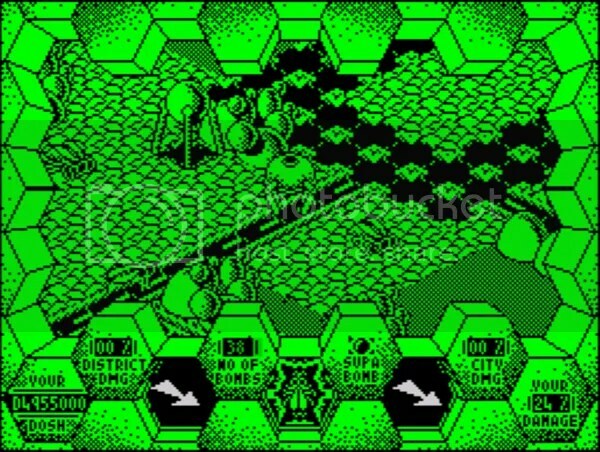 Plus the basic concept could have done with a refresh, this is basically a copy of Repton with smaller graphics and no new ideas. I would have liked to have seen things shaken up a bit. Set it in a new location e.g. space, a city (perhaps use a digger for the main character) and have different objects with different rules. 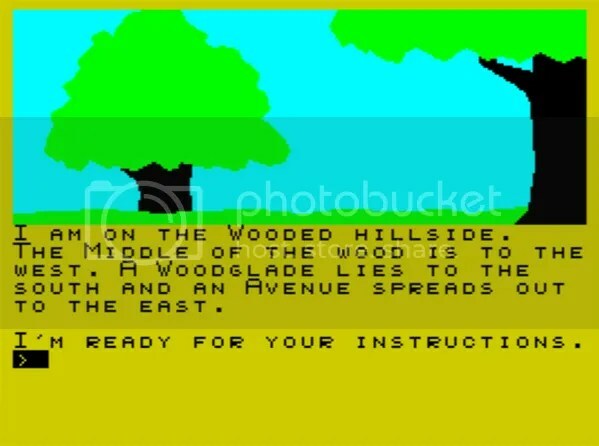 I personally need something fresh to get me excited about another Boulderdash/Repton style game. This is an isometric arcade game set in the futuristic city of Amaurote (named after the ideal city from Sir Thomas More’s Utopia). You control a robot walker, the Arachnus-4. 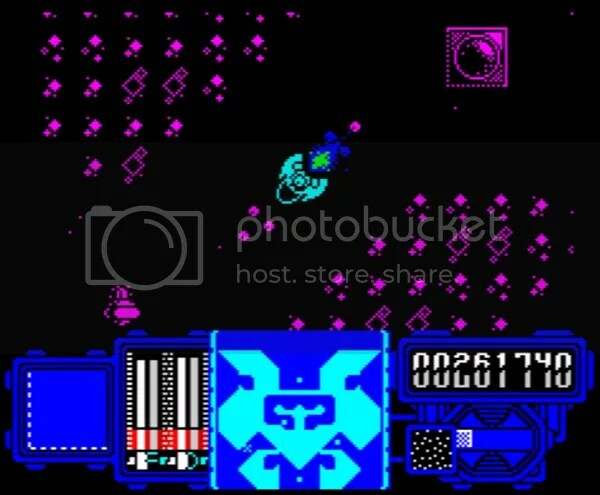 Your task is to clear each of Amaurote’s 25 sectors which are under attack from marauding alien insects. I chose this game because I played it briefly at the time and was intrigued by it. It felt like I was controlling a powerful robot in a strange alien world. A world with fields, highways and strange buildings to explore. I imagined I could pick up more powerful weapons and fight more interesting enemies as the game went on. 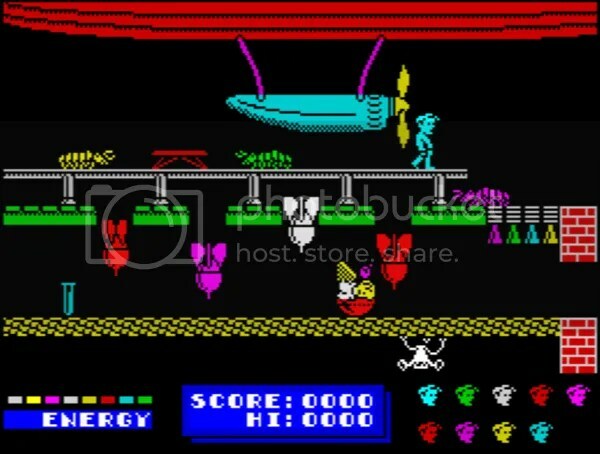 The graphics are superb for the Spectrum. The Arachnus-4 moves and animates beautifully in 4 directions. The sectors of Amaurote all look suitably alien and otherworldly with strange and intriguing free-standing structures. At the time this would have been a stunning looking game. The colours of the world change depending on which sector you are in but you can alter them yourself if you wish by pressing the ‘V’ key. The buildings and trees are also destructable but destroy too many and you’ll get into trouble and it will be game over. Here, I am under attack from 3 enemy insects. You clear each sector by killing all the enemy insects with your bouncing bombs. 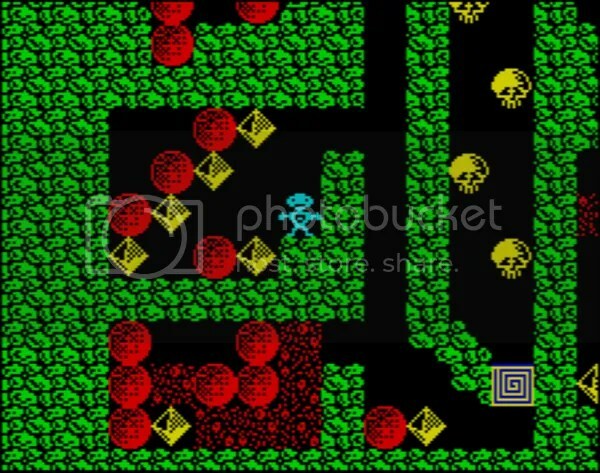 This is tricky because you can only fire one bomb at a time and they bounce (they can easy bounce over your target) *AND* they are slow moving so you have to time your shot perfectly. Your first task should be to destroy the queen. Once you have done this no more insects can be produced. 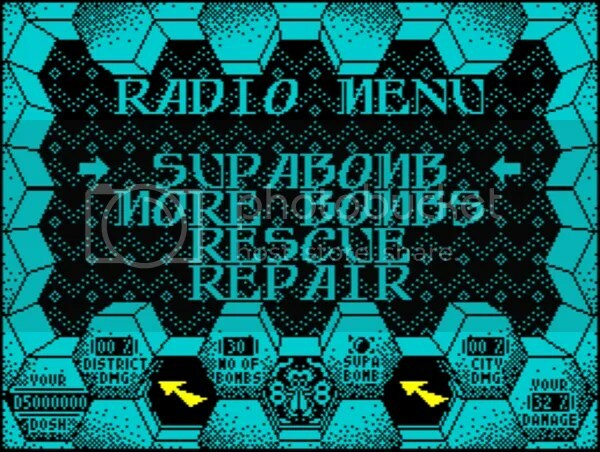 However the queen is invulnerable to your standard bombs and you’ll need to radio in for a Supabomb – which is delivered from your mothership and arrives by parachute. All the options the radio menu cost you money (Dosh). Once the queen is dead you’ll have to mop up all the remaining insects to clear the sector. Sadly this is quite tedious since the alien insects become even harder to hit once the queen is destroyed. Rather than coming straight for you – which makes it easier to kill them – they now run away in unpredictable directions. Disappointingly and contrary to my original expectations, you only really have the one weapon – your bouncing bomb – and it can’t be upgraded. Also there is only one enemy type which looks like a fly. These can fly or hover. There’s no music. 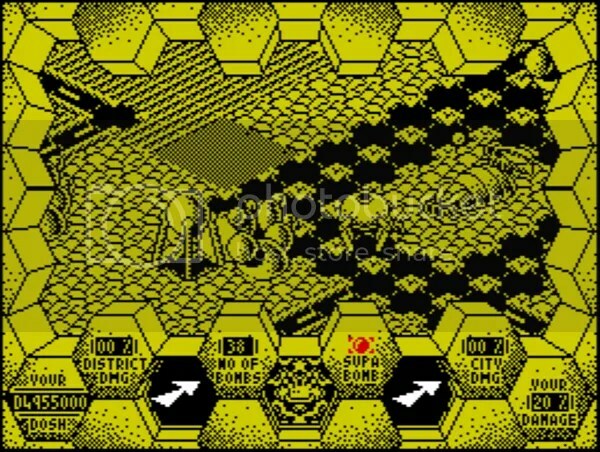 There are some fairly basic sound effects when you fire a bomb or blow up the enemy insects. Nothing special. The alien queen produces both drones (walking insects) and fliers (hovering insects). Kill her to stop the insects being replaced after you kill them. She can only be killed with a Supabomb. 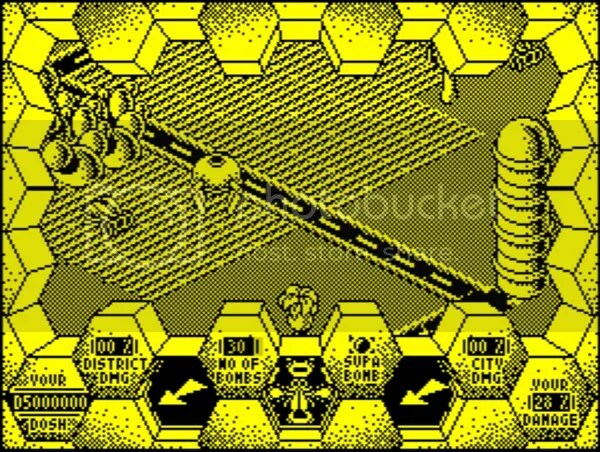 In the above screenshots the Arachnus-4 destroys the queen using the Supabomb. You only get one chance so don’t miss! Alien insects can walk anywhere but your walker can only walk one-way down these furrowed patches (see the below screenshot). Your walker also can’t walk over the stony patches (not pictured here). This makes it even harder for you to pursue fleeing aliens. Your radar has 3 ‘Seek’ modes – Supabomb, Aliens, and Queen. You can flick between them to locate each respectively. The arrows show the way you should be going. Below the Arachnus-4 is searching for a recently parachuted-in Supabomb. The arrows point the way. Interesting Fact: – the Supabomb can also be used to destroy the fence surrounding each sector but you’ll meet an invisible wall if you try to escape through the gap. Amaurote seems to have reviewed very well at the time receiving 90%,92%,100% from the 3 main Spectrum magazines: Your Sinclair, Crash and Sinclair User respectively. Sadly it’s one of those games that has been fairly obviously over-rated. It was an impressive technical achievement but even at the time the gameplay wouldn’t have been much fun. The control of the spider robot combined with the awkward key-selection used for control makes it cumbersome and unresponsive. Add to this the difficulty of hitting anything with your bombs, means a game that isn’t much fun to play. Probably the most annoying thing about the game is should your bouncing bomb miss it’s target – you’ll have to wait up to 5 long seconds until it explodes before you can fire another one. By then you’ll either be under attack yourself or your target will have escaped. Amaurote is fun for a short period of time, but by the time you’ve managed to clear the first sector it’s unlikely you’ll want to continue with the other 23. Well I assume there are memory issues with adding much more to the game, because it seems like the animation of the robot would have used up a fair amount of memory. But in an ideal world I would like to see more enemy types, maybe even some kind of gun emplacements that fire at you. Some moving or animated environmental hazards that you have to dodge past would also have added extra variety to the gameplay. The game also needs upgrades to your basic bomb. The Arachnus-4 could badly do with a straight firing missile, and some other weapon upgrades too, A flame-thrower would be a great short-range weapon to to torch insects with for example. A major problem with the control-method is that the walker has to walk a step in a direction before it can then fire in that direction. This seems like a pretty basic gameplay flaw that could have been easily fixed. Just overall better control of the walker would have made a big difference to make the game less frustrating. Lateral movement would also be very useful. The 128K version gets added cut-scenes before you start a level and also when you blow up the insect queen. It’s debatable whether these are a good thing or not. Personally I prefer no cut-scenes. However the 128K version does also get a David Whittaker tune, which while not one of his best, does sound suitably mysterious and other-worldly. I have no idea, the game doesn’t say. It seems to be Tolkien inspired (there is mention of hobbits: “thieving hobbits”, and there’s even a ring). You start in a wood, there’s a brook and a castle nearby. So it’s set in very traditional fantasy setting. This was a random choice of game (see my ‘About‘ page) and I can’t find out an exact release year – so maybe it was unreleased. I do know it was ‘published’ by Xcellent Software however. Each location is accompanied by a colourful illustration. They are not exactly Van Gogh but are often helpful in giving you a better idea of what you might be able to do in a location. This is a text adventure. 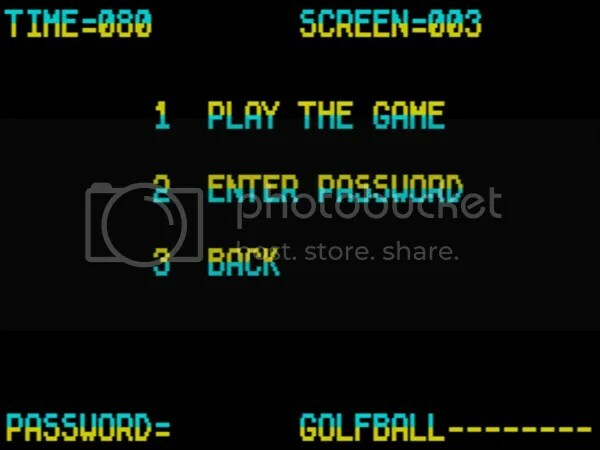 Not the sophisticated variety where you can type “TAKE THE ROCK AND THROW IT AT THE WINDOW.” This is the simpler kind where you type “N, S, E, W, GET SWORD, E, N, KILL TROLL” and then rather hopefully “OPEN DOOR WITH KEY”, and it replies “I don’t know how to do that.” Then you try “UNLOCK DOOR” and it says “I don’t know how to do that.” Finally, through trial and error you realise that “OPEN DOOR” works as long as you are holding the right key in your inventory. AARGHHH! “EXAMINE MOUND” is what I needed here. To put it bluntly, Goldwood is very annoying in this way. Even typing “INV” instead of INVENTORY to display the contents of your pack fails. Usually part of playing these types of games, is getting inside the author’s head to understand their logic and way of thinking. However Goldwood is so unfriendly and inflexible that it makes you not want to bother. The descriptions aren’t very helpful or detailed. You enter a hut where there is a “Long narrow hole”. I assumed this was a hole in the ground and only much later realised it was a hole you could poke a STICK into to open a secret passage. The game also doesn’t like you EXAMINE-ing anything. 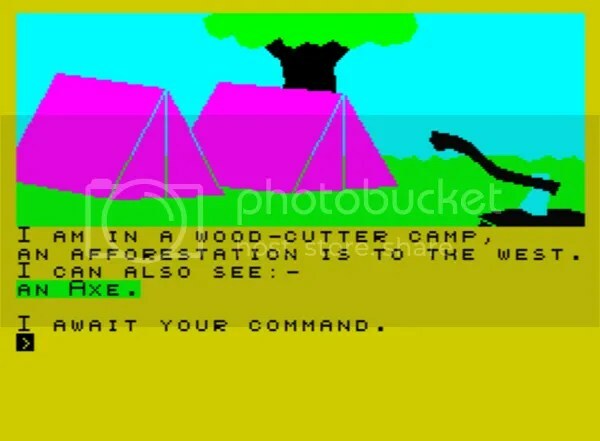 “Why do we have to examine everything?” Which at first seems like a bold rebellious statement against standard text adventure convention, but soon you’ll realise – by the dearth of clues, and lack of flexibility in the parser – that it’s just a lazy way of putting less content into the game. 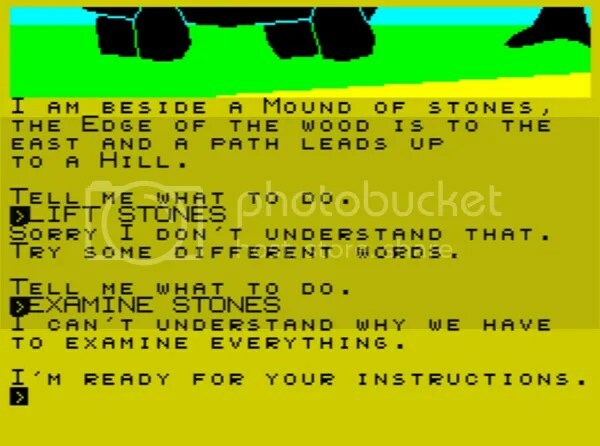 I have played a few text adventures in the past. This seems like quite a small one. I managed to reach 40% completion after about 2 hours play. Most of which was spent wasting time. If I knew what I was doing, I could have reached this point in 10 minutes. After a while you do learn instinctively what you might need to type in a situation, and the game becomes a little more fun. Overall it’s still poor though. By Spectrum adventure standards this is probably a 2/10. It has a terrible parser, it’s inflexible – you can’t “DRINK BOTTLE”, but you can “DRINK FLUID” (the fluid is in the bottle), it uses odd words for things, and besides the satisfaction you get from solving puzzles, it isn’t much fun to play. By today’s standards this is a 1/10. Dastardly Dr Blitzen has locked the secret plans for his Super Psychon Mega-Ray in a safe which is hidden deep in his huge house. Arriving by Zeppelin, Dan must find 8 sticks of dynamite, blow the safe and escape with the plans. Dan arrives on the roof of Dr Blitzen’s mansion in his zeppelin. The first thing you notice about this game is how bright, well-animated and colourful everything is. 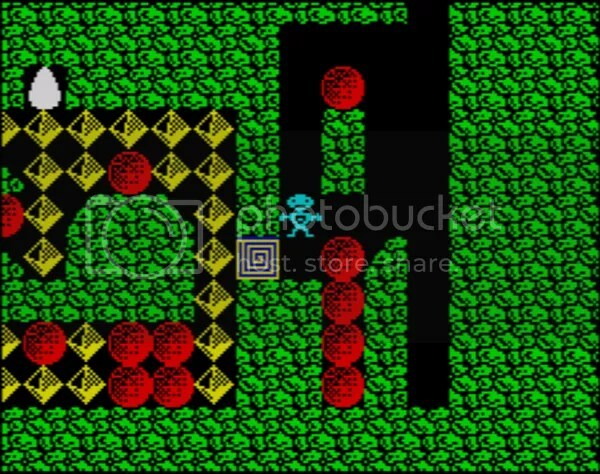 In fact Dynamite Dan is just generally a very slick game – everything moves smoothly and there’s often a large number of fast moving enemies on screen with you. Dan as a hero also has great appeal. He’s a nonchalant hero, whose hands never leave his pockets as he casually strolls from one screen to the next. 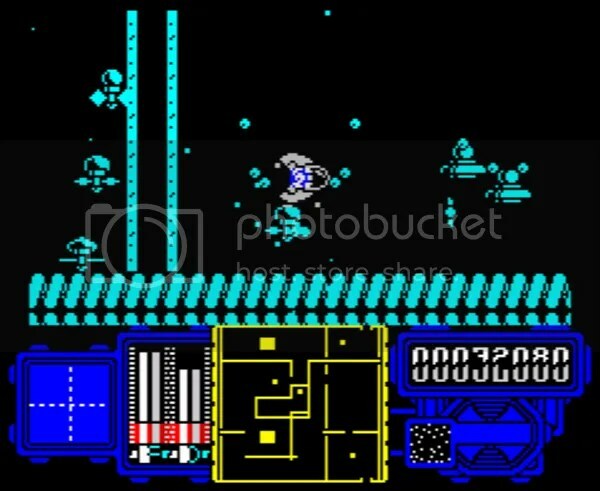 Obviously heavily inspired by the seminal Spectrum platform game Jet Set Willy (JSW). 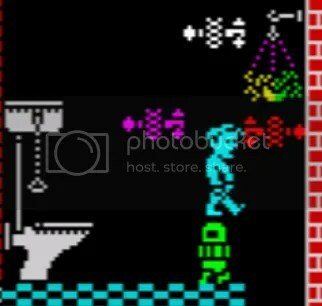 Like Willy in that game, Dan also finds himself in a huge house surrounded by surreal enemies and with flashing objects to collect. Willy was famously combining blue pills and alcohol. So I do wonder what Dan is taking? Whatever it is, it’s definitely something to avoid! Here Dan is assaulted by mini-troll dolls, floating mermaids, toy helicopters, levitating octopuses, and unicycling waiters. It might have similar gameplay to JSW but Dynamite Dan is still very much it’s own game. Dan has a mission to complete (to steal the Secret Plans) and you don’t need to collect every object in the game. The mansion here is slightly smaller at 48 screens which wrap-around. Click HERE to see the map. As well as being useful, all items increase your score. There are objects to collect that will aid you in your mission. Test tubes give you an extra life. The oxygen-canister allows Dan to survive a fall into the river. 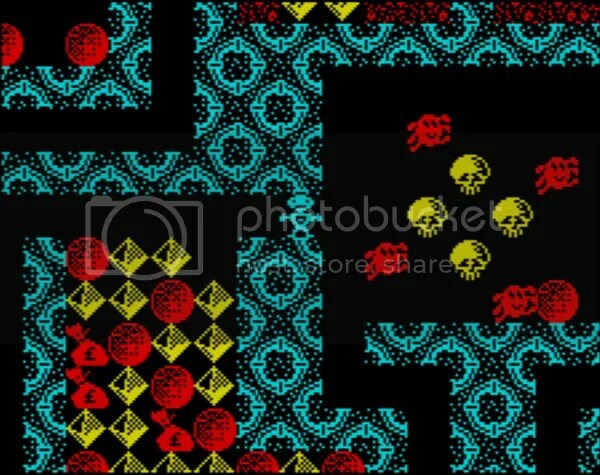 The deodorant will make Dan temporarily invulnerable and is similar to a power pill in Pac Man – it allows you to permanently kill any enemies you come into contact with. Dan also gets hungry fast and will lose energy as he starts to starve so collect as much food as possible! There’s a tune on the title screen but no music in game. There are great sound effects however. When you pick up an item a little tune with often play. Which is almost a reward in itself. Falling into the river will play a sea shanty, and picking up a credit card will produce a long sound effect that rises in volume as your score increases. Very satisfying. Hop into one of these to re-appear in another transporter somewhere else in the house. That’s a transporter on the bottom-left. One of the hardest objects to collect in the game if approaching from above, and a good test of your timing skills. Here’s how it’s done. The arrows show the enemy paths. Notice how Dan’s leap must be timed to avoid both the horizontally-moving green robot and the 3 rapidly vertically-moving er..spinning things. Even then Dan survives *literally* by a pixel on either side. Dan’s quiff is just one pixel away from getting him killed. Dan isn’t fixed to the boat – so you’ll have to keep walking to stay out of the water. The boat is always moving and you’ll need pixel perfect positioning and jumping skills to get far on this river – often you’ll have to move Dan to the edge of one side of the boat and have to keep walking very slowly just to maintain that position to avoid a rapidly moving enemy. Dan is attacked by dragonflies and evil spiders, while doing his best to stay on the boat. 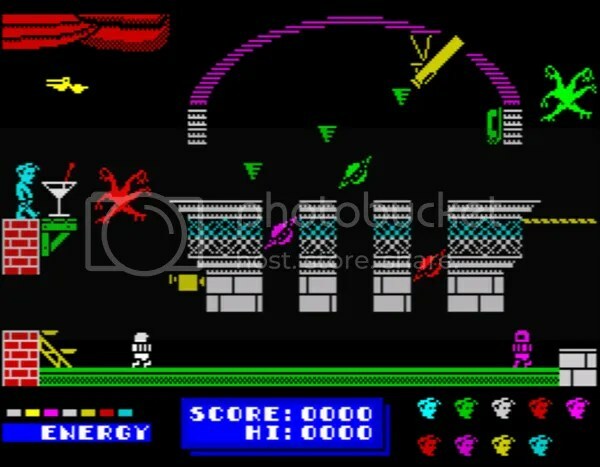 Amazingly – considering how slick and well executed everything is – this was Rod Bowkett’s first game after transitioning from the music industry. He would write only one more game, the sequel Dynamite Dan II, which in my opinion isn’t as good. It’s larger, less focused and has randomly spawning enemies. Dan has just 3 moves: walk left, walk right, and a fixed jump. But full use is made of them by the level design. The fixed jump may seem like a handicap to anyone used to being able to change direction in the air (Hello Mario!) but it’s actually essential to this type of game. It also means you’ll need to plan your route carefully through each screen. This is a fun game, it’s bright, vibrant and has pixel-perfect collision detection. 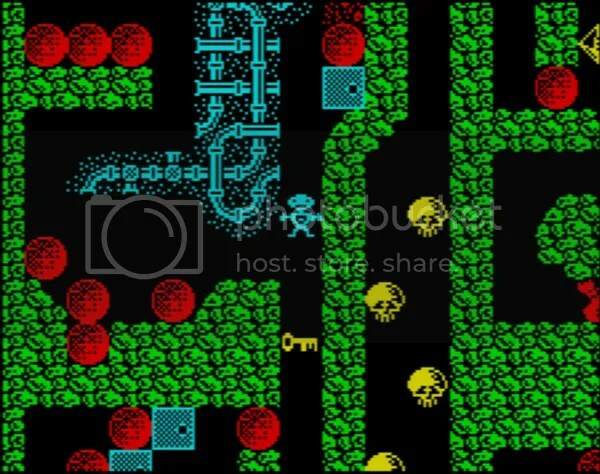 The controls are responsive and it’s addictive trying to beat your score, number of rooms visited and number of sticks of dynamite collected each game. Is It Better Than Jet Set Willy? In some ways yes – this is slicker, faster, better-looking and feels like the next stage of evolution on from that game. It also plays a better game in some respects. But overall I would say it isn’t quite as good. The house that Dan explores is less interesting. Every room is just crammed full of monsters and platforms. Which means there’s less room for the distinct character of each room to emerge. There’s also none of the clever pop-references that JSW crams in. Is Dynamite Dan Worth Playing Today? The short answer is Yes. It’s the kind of game that you don’t really find anymore. A computer game as opposed to a console game. Most platform games now have console-stylings – with smooth learning curves and no rough edges. Dynamite Dan however has brutal difficulty. It takes pixel perfect jumps and timing to the extreme. Sometimes you’ll execute an amazingly accurate leap only to have to keep moving and produce two more just as good to avoid losing a life (Dan starts with 10 but it’s still not enough). There are a number of games around now which make a selling point of how difficult they are: Dark Souls, Super Meat Boy, The Impossible Game etc. Dynamite Dan fits in nicely alongside these. Sadly you’ll find it’s less fun once you reach a certain standard. 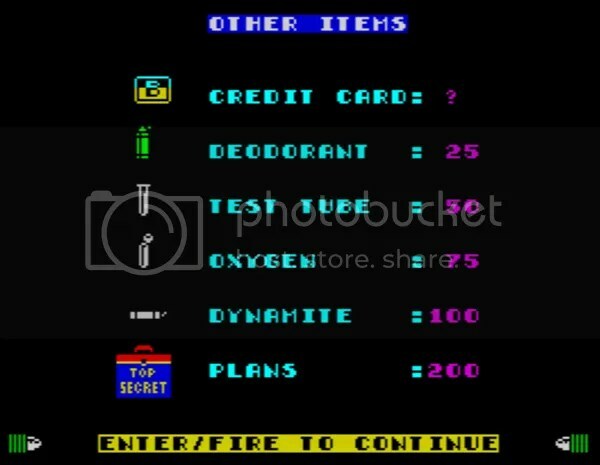 You’ll play a superb game at some point and get maybe 5 or 6 (out of 8) dynamite sticks, but also realise that to progress any further would require a huge commitment with little in the way of reward to pay you back (there’s a lot of trial and error deaths). This is where most players will give up, and rightly so. Even hard games should stay fun. There’s also the slight nagging feeling that some of the rooms have been put together in a rush without much thought and that a load of monsters have been thrown in to finish them off. This is rare though. Also terrible trampoline-physics: Dan doesn’t quite bounce on the trampolines the way you expect. What seemed good at the time now feels quite ‘wrong’. Still, you get used to it.